Recharge and renew skin with Exuviance Evening Restorative Complex, the night time transformer! This night treatment conditions and hydrates skin with emollients and Hyaluronic Acid, restoring youthful suppleness and elasticity. 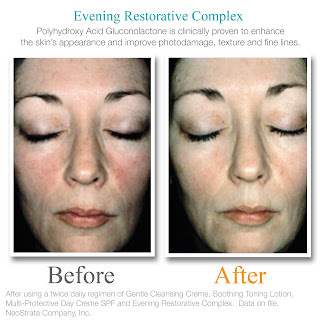 Powerful Polyhydroxy Acid (PHA) Gluconolactone targets lines and wrinkles, evens skin tone and improves roughness and texture. Lactobionic Acid - a potent antioxidant - helps inhibit wrinkles from forming, plumps and firms the skin, and enhances clarity. This bionic blend of PHAs, along with botanicals and Vitamins A, C and E, delivers full-strength antiaging benefits without drying or irritation, even on the most sensitive skin types. 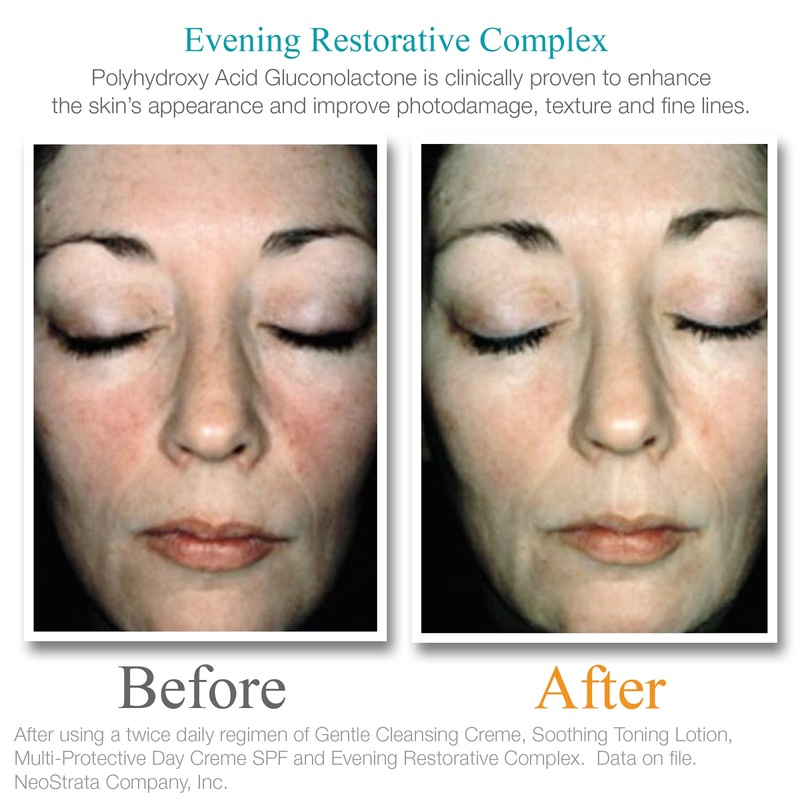 Evening Restorative Complex is dermatologist developed and gentle enough to be used following Glycolic Acid Peels and Microdermabrasion. How to use: Gently smooth over a cleansed face and neck in the evening. Recommended usage: Daily, at night. 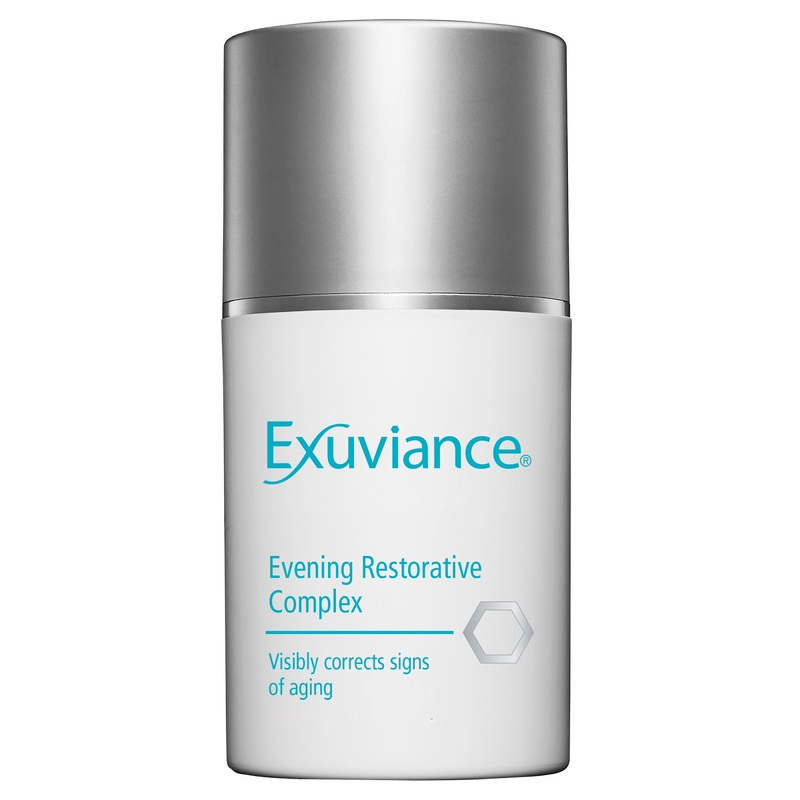 The Exuviance Evening Restorative Complex really helped with my photodamage (hyperpigmentation), it made my skin feel smoother and it made my skin feel firmer. I used it every night for a month. Just one to two pumps is enough for the entire face and neck. It can even be used around the eye area, but gently. I really, really liked this product. My skin hasn't felt this good in years, even with all the other stuff I've been using. I think the combination they have in their formula is perfect and is just about one of the best anti-aging formulas out right now. It really helped with my hyperpigmentation, which is hard to get rid of. That is a combination of sun damage like sun burns and photo aging from many years in the sun. If you have sun damage, hyperpigmentation, need to firm your skin or need to increase elasticity, then this is a great choice for you. 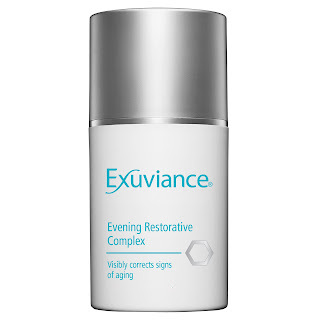 The Exuviance Evening Restorative Complex can be purchased online at www.exuviance.com. It is $48.00 for a 1.75 oz./50g bottle.